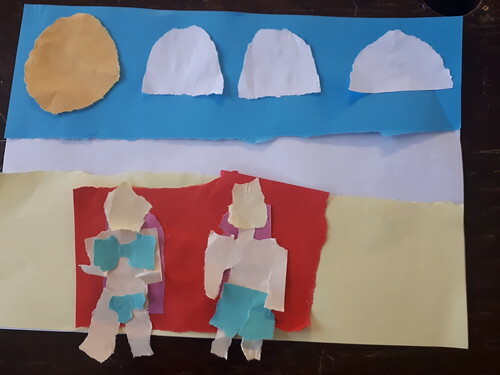 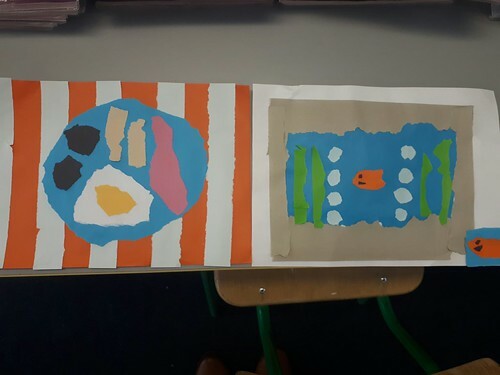 Pupils in 2nd class showed their wonderful, creative talents recently with this torn paper picture art activity. 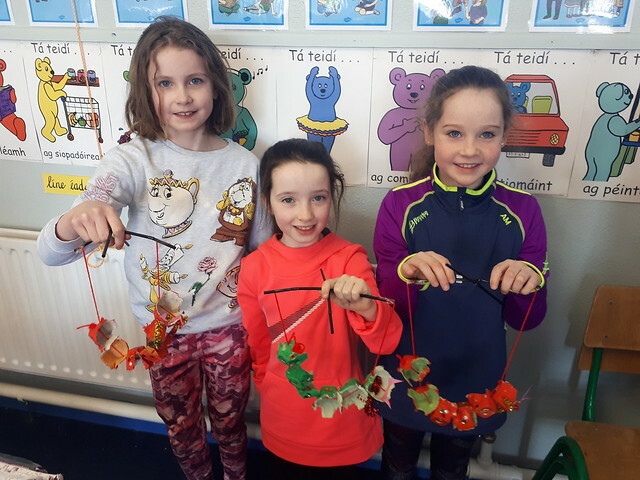 Pupils in second class made these wonderful chinese dragons using recycled egg cartons. 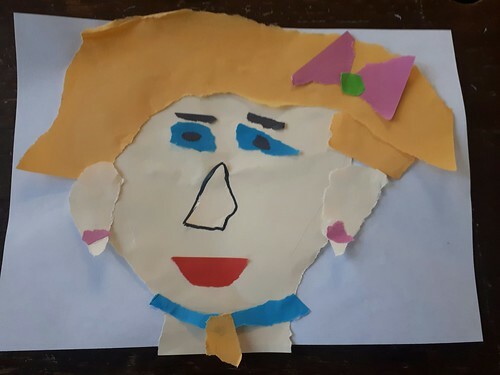 Pupils are encouraged to use recycled materials as much as possible during daily junk art session in our Aistear time. 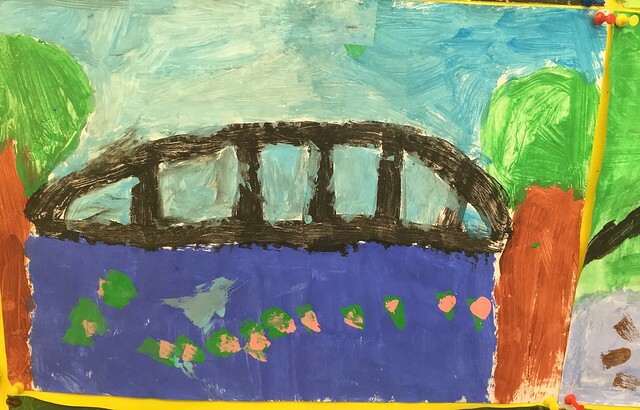 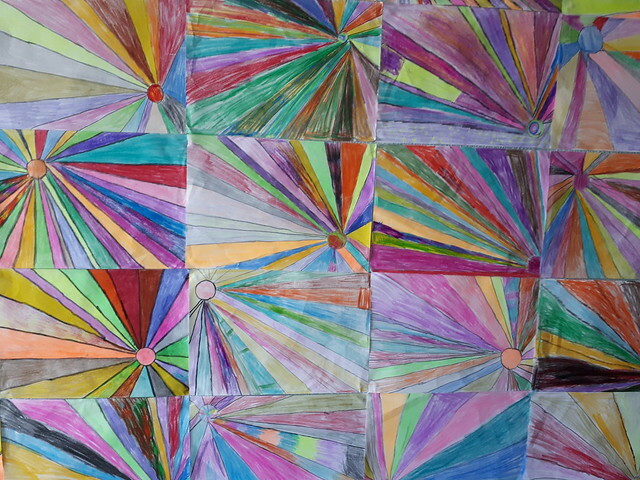 Pupils in second class incorporated the use of their ruler into art class.